I’m not familiar with Richard Basehart, but he was great. The ending, starting with his being trapped in his house, was so intense. I held my dog’s paw for at least the last 10 minutes. We were both relieved that Morgan’s faithful canine seemed to have been spared. I’m glad you liked it! Did you used to watch Dragnet, or listen to it on the radio? I remember you humming the theme for me when I was a kid. 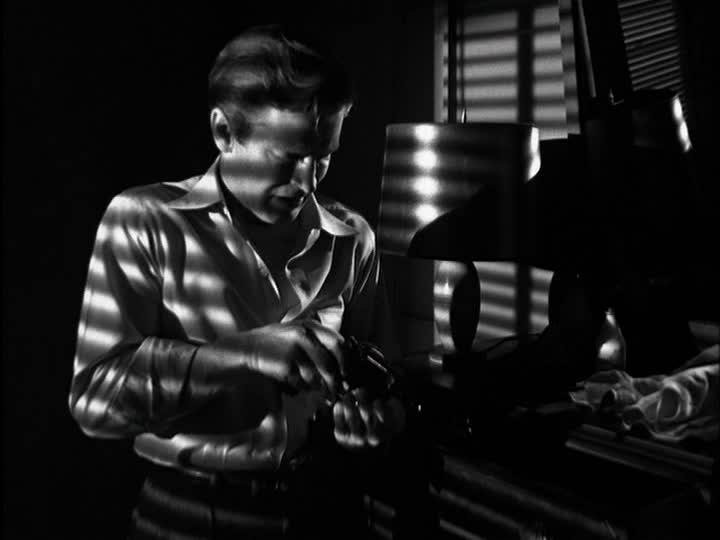 The only thing that has held this back from being considered on of the truly great noirs is that it doesn’t provide any information as to Basehart’s motivation, which is key for me. A few minutes spent explaining, maybe as a flashback a la ‘Gun Crazy’, what trauma (childhood, the war, whatever) pushed Roy over the edge would have gone a long way. Great write-up! Thanks, Mark! I actually sort of like that Basehart’s character is given no back story, but it does disqualify this film as a “true” film noir. 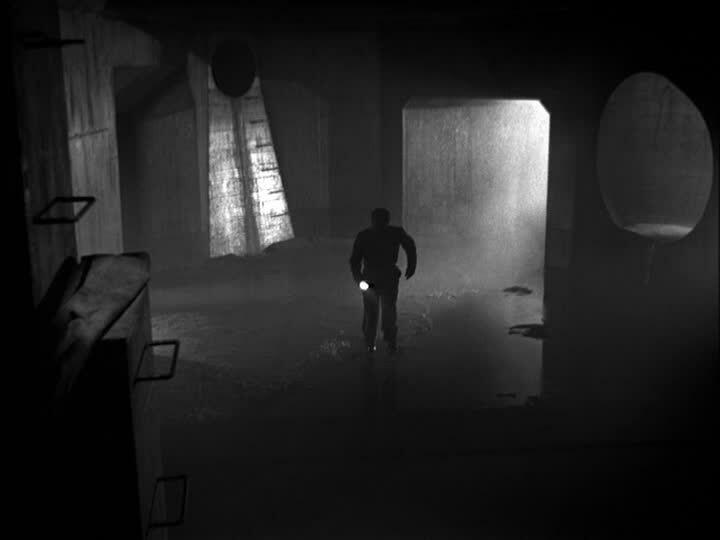 This is a pure police procedural shot in the noir style, with elements of a hard-boiled crime film. 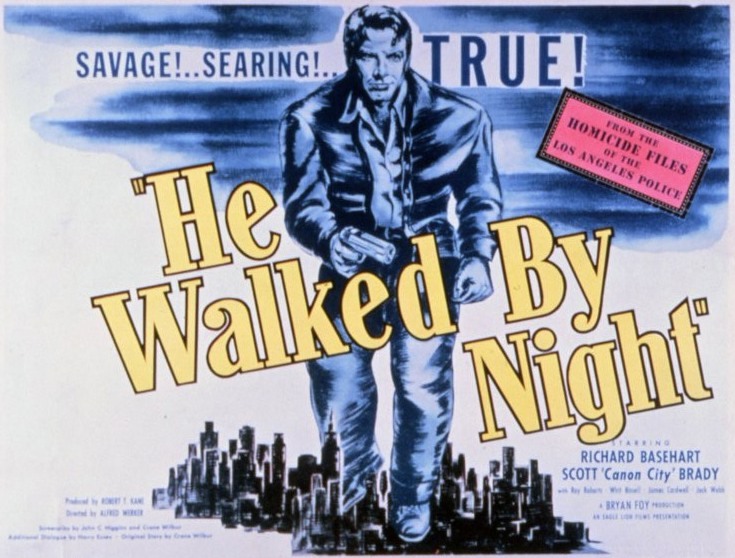 I think when I finally get around to posting my top 10 of 1948, “He Walked by Night” is going to be in a position tied with “The Naked City.” They’re both such incredibly important and influential police procedurals. I am about to publish a song that includes an audio excerpt from the movie. If the movie is in the public domain it means I can use the audio “sample” without prior permission or clearence from anyone? Kind Regards and thank you before hand for any info on this subject.